The case was heard at Teesside Magistrates' Court earlier today. A man has appeared before court to face a robbery charge. Steven Long, 31, of Hylton Road in Billingham, faces the allegation following a robbery at a store in Kenilworth Road in his home town. The incident happened at around 6.25pm on Friday, April 6, when a man allegedly went into the store with a hammer and threatened staff. No one was injured as a result of the alleged incident and the suspect managed to steal cigarettes and sweets. 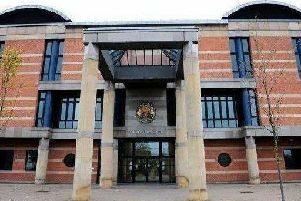 No plea was indicated by Long and he was remanded until his next appearance, which will be held at Teesside Crown Court on Tuesday, May 8.